With AppsFlyer's Protect360 integrated partners have access to data of fraudulent installs. The information is available on the partner dashboard in the Protect360 dashboard as well as in the raw data reports available for download. 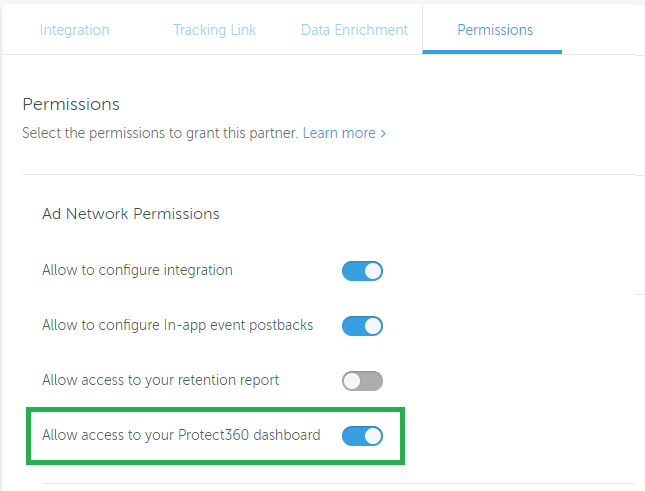 Advertisers can grant permission to the integrated partner to allow the partner to see the Protect360 dashboard. The partner is only able to see data concerning its own generated traffic's data. Permission is granted via the configuration window of the integrated partner. After choosing the specific partner click the Permissions tab and toggle the Allow access to your Protect360 Dashboard to ON. This enables the integrated partner to view the Protect360 dashboard on the partner dashboard available to them. 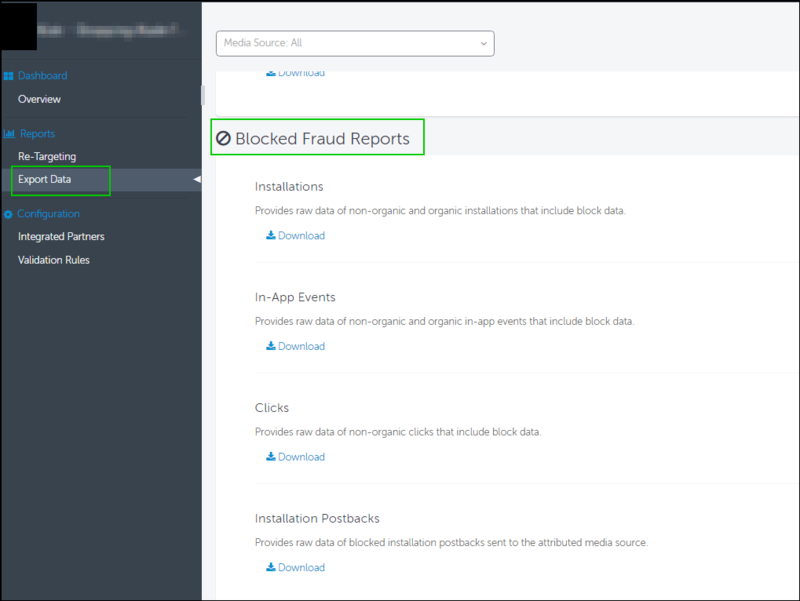 The Protect360 Blocked Fraud Raw Data reports are available to the integrated partners only if the Protect360 feature is enabled for the advertiser (regardless of the permission giving mentioned above). Integrated partners can access the Blocked Fraud Reports from the Export Data tab.